The news had been anticipated since the State Duma's formal ratification 30 days earlier, but its importance to Russia's future cannot be overstated. Russia's long-awaited accession to the World Trade Organization last week was a real watershed moment for the country. WTO accession was not achieved easily. Negotiations began in 1993, and right down to the last moment there was opposition within Russia. The Communist Party attempted to block the Duma's ratification on the spurious grounds that the agreement would not be constitutionally binding, as the text of the agreement was in English, not Russian. A second argument, equally spurious, claimed that the agreement was unconstitutional since Russia's economy would suffer if it had to accept the strict WTO conditions. Thankfully, the Russian courts took little time to throw out both arguments, and the WTO accession process continued. But while these objections were desperate and far-fetched, they highlight the antipathy and ill-feeling toward WTO membership in some political camps. There will certainly be some teething problems with accession. The forecasted economic benefits are partly based on Russian businesses and state institutions quickly falling into line with the new WTO rules and regulations. But some issues may prevent the full benefits of Russia's membership from being realized. Russia's institutions and bureaucracy are not fully prepared to implement the demands laid out by the WTO. Businesses will struggle to cope with the strict compliance standards under the new rules and regulations. This means that changes will have to be made to procedures that in the long term will prove beneficial to the overall business environment. Reducing tariffs on imported goods has forced the issue of how Russia handles foreign competition. Traditionally, Russia has enacted protectionist trade measures to skew the market back into its favor. But under the WTO, these measures won't be allowed, and opponents of WTO membership will certainly emphasize how much Russian businesses are suffering as a result. But this is a short-sighted view. The reality is that those companies that cannot adapt in the new competitive environment and improve their products and services will lose out. Some will even disappear from the market altogether. But this is not necessarily a bad thing because those who do change and improve will thrive. As a result, the average Russian family be able to buy better products at more competitive prices, and Russian businesses will be able to better compete in foreign markets. WTO membership will also boost confidence among Russian businesses. Accession into the trade organization means that Russia has been given a stamp of approval for its business climate. Yes, this stamp comes with a price, but it also offers protections. Up until now, Russian companies that have been targeted in overseas courts on trade issues have traditionally never contested these charges because they have assumed that they would never get a fair hearing. But WTO membership will provide the mechanisms for Russian businesses to defend themselves against these charges. Membership should also help the economy move itself away from its over-reliance on oil and other natural resources by helping other sectors grow and become more competitive. Diversification can only help boost the economy. With volatility in the oil markets expected to continue over the next decade, the development and growth of other sectors that are not reliant on natural resources, such as automobile and aircraft manufacturing, will act as stabilizing counter forces. 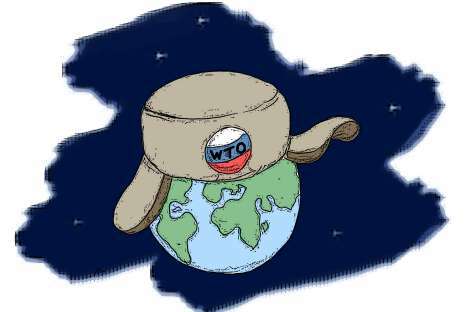 WTO membership comes after the boost that BRICS membership has given to Russia internationally. As a result of being a member of BRICS, Russia is now positioned alongside India, China, South Africa and Brazil. Unlike these recently emerging countries, Russia has enjoyed a rich heritage of economic growth dating back to the mid-19th century, while the other members have seen rapid growth only in the past 15 or 20 years. Russia's growth is expected to remain in the top tier of the best-performing economies while its fellow BRICS are slowing down. Russia's accession to the WTO is another stepping stone toward the country's global financial and economic integration. With the opportunities and security that the WTO brings, Russia can cement its position as a leading global economic power. Andrey Goltsblat is the managing partner at Goltsblat BLP, the Russian Practice of Berwin Leighton Paisner.